An amazing concert will open the season for the South Okanagan Concert Society at 7:30 pm on Friday, November 8th. 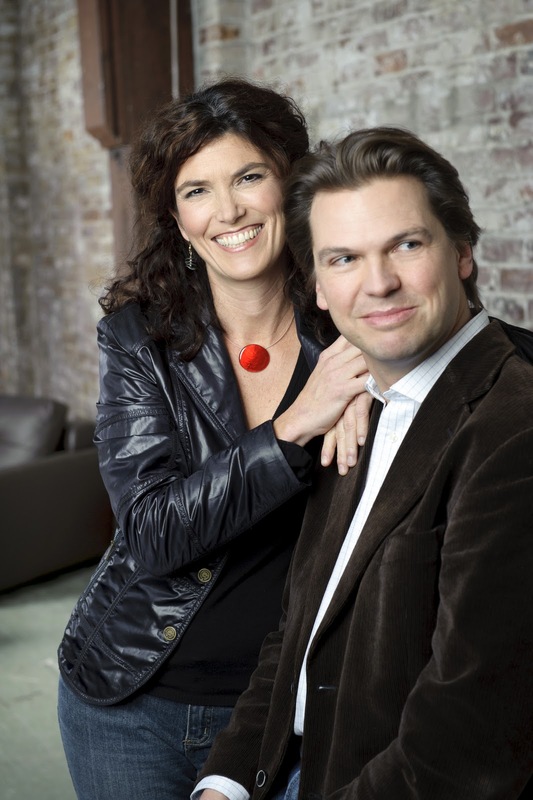 Internationally recognized pianists Elizabeth and Marcel Bergmann, known as the Bergmann Piano Duo, will share the stage at the temporary venue of the Oliver Alliance Church with the two matching Grand Pianos they keep ‘in tow’ as they tour. “We have taken a page out of 20th century musical history” stated Impresario George Zukerman. “In the 50s and 60s the concert landmark was full of duo-piano teams on tour with their own pianos. Now the Bergmanns have re-established an old tradition that will be as successful today as it was in the past century.” Their two magnificent Grand Pianos are generously provided by Showcase Pianos of Vancouver, with the logistical help of moving company Salmon’s Transfer of Richmond. Four admission flex pass tickets for only $60 are available at Beyond Bliss in Oliver, and Imperial Office Pro in Osoyoos or at the door. The series flex ticket can be used in any combination. Four can attend one concert, a couple can go to two concerts or, ideally, one person can attend all four series concerts. A single entrance is $20. Students 17 and under gain admission free. Those needing a ride from Osoyoos can contact Maureen at 495 7978 to arrange to come by bus. As International prize winners, the Bergmanns have performed in recital and with orchestras across North America and Europe including recent appearances in Amsterdam, San Francisco and Munich in 2013. They have several recordings to their credit as well as being frequent featured artists on CBC broadcasts. Their dynamic and energetic performances draw from an extensive repertoire ranging from the baroque to the contemporary. They incorporate numerous arrangements and original compositions by Marcel Bergmann who writes in a “uniquely original voice that straddles the best of the classical and jazz worlds”. Their Oliver concert will include Mozart’s Magic Flute Overture, Brahms selections, and West Side Story numbers by Bernstein. After the intermission, Marcel Bergmann arrangements will be featured in works by Dave Brubeck, Astor Piazzolla, Chick Corea and Egberto Gismonti.